The final result is a functional yet elegant kiosk that operates exactly as intended. 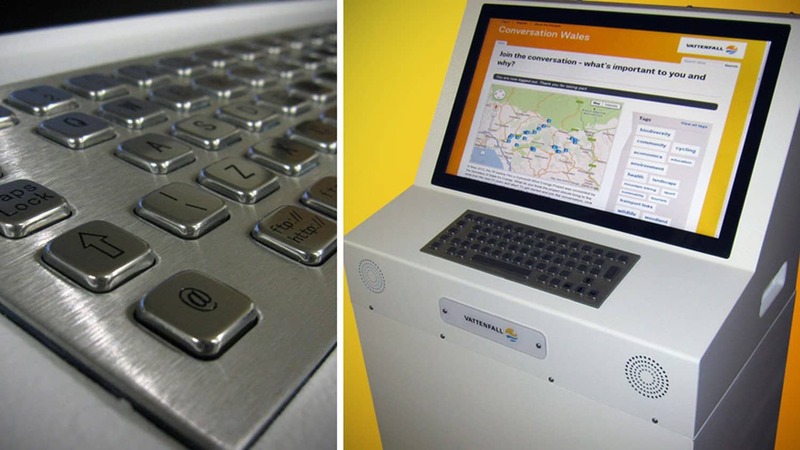 Clean and modern in appearance the kiosk welcomes inspection by the public who can then easily navigate the Conversation Wales website thanks to the user friendly multi-touch screen. Vattenfall is a Swedish energy company with a diverse portfolio spanning the breadth of Europe. They specialise in sustainable energy through a mix of options, including Biomass, Hydro and onshore/offshore wind farms. They also work to improve the efficiency and safety of more traditional energy options such as coal, natural gas and nuclear. 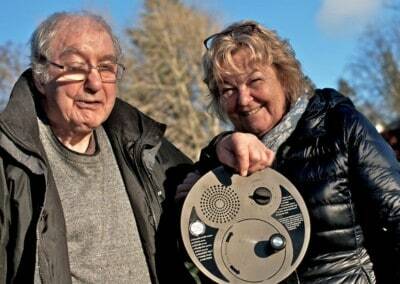 They have recently started a 76 turbine scheme in Neath Port Talbot, called the Pen y Cymoedd Wind Energy Project. The Secretary of State for Energy gave consent for plans to go ahead in may 2012 and the undertaking is projected for completion by 2016. 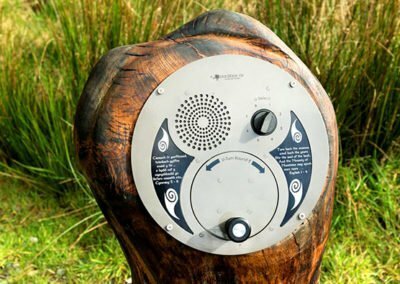 It is thought the project will not only create jobs and clean energy for the area, but Vattenfall have also committed to investing £1.85 million annually into a community fund, creating a £350,000 mountain bike trail in the Afan Valley and carrying out a £3 million habitat restoration project aimed at improving biodiversity in the area. We were approached by Rahel Jones, the communications and engagement manager for this Vattenfall project while at the Royal Welsh Show in July 2012. She was looking for some kind of kiosk that they could safely leave in public places, such as shopping centres or supermarkets etc. 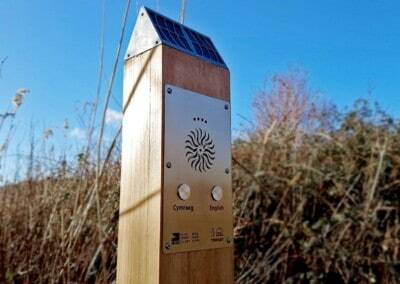 which members of the public could use to browse a website that Vattenfall have set up with the aim of gathering feedback regarding the Pen y Cymoedd Wind Energy Project. 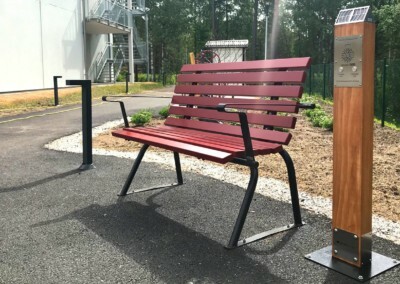 This request raised a few issues, how could we make a kiosk portable enough to be transported by Rahel, although heavy, robust and secure enough that it wouldn’t simply be stolen when left alone and could cope with its intended public application? It also needed to be free-standing and at the right height for ease of use, but adaptable enough to be placed on a tabletop if need be. There was also the issue of user inputs, the website was designed for receiving written feedback which meant a lot of typing so a traditional keyboard was preferred over use of a touch-screen keyboard, however browsing the site itself was best left to multi-touch controls rather than a mouse or roller ball. Our design and development team got to work taking all of this into consideration and created the kiosk you see above. 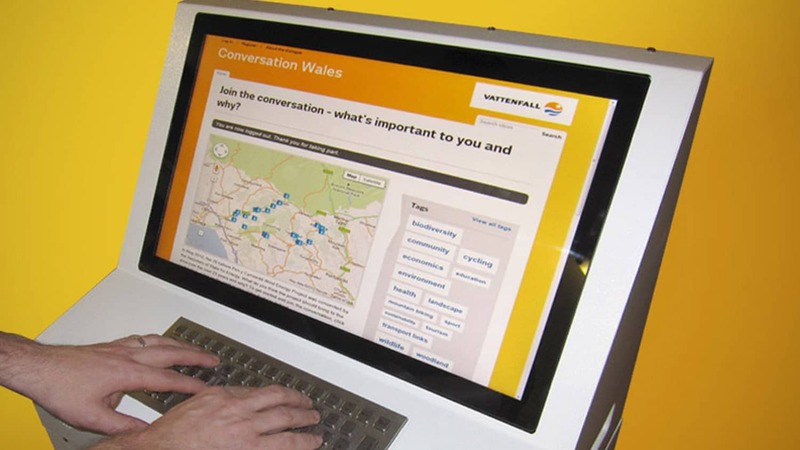 The Vattenfall kiosk houses a 22″ multi-touch screen allowing easy navigation of the ‘conversation Wales‘ website, which is accessible via in-built WiFi for hotspots or the attachment of a dongle for roaming internet. The robust keyboard is specifically designed to handle the rigors of public use and offers users the ability to quickly type messages rather than fiddle around with an on-screen keyboard. 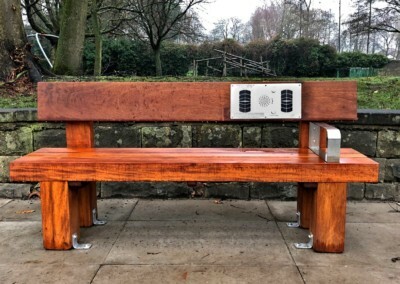 The kiosk is broken down into two parts, the upper half is the actual kiosk while the lower half is a wheeled platform it can be attached too if required for use in open spaces. We also added two speakers to the kiosk upon request at a later stage of development. 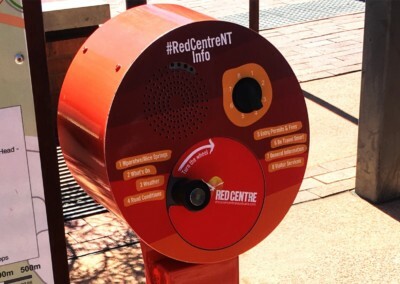 At the rear of the kiosk is a lockable door that allows access to the compact but powerful PC inside, along with a secure point that allows the kiosk to be chained and anchored when on site for security reasons. Using custom software we locked down access on the kiosk so public users could only browse the single Vattenfall website and not interact with the operating system. The kiosk is easily portable thanks to the addition of a protected handle on each side (they don’t offer access to the inside of the machine for obvious reasons!). The final result is a functional yet elegant kiosk that operates exactly as intended. Clean and modern in appearance the kiosk welcomes inspection by the public who can then easily navigate the Conversation Wales website thanks to the user friendly multi-touch screen. Breaking down into two parts for ease of transport and secure when left alone on site, the kiosk ticks all of the boxes given to us in the brief. If you’re in the Neath Port Talbot area keep an eye out and you might see it in a shopping centre near you soon! 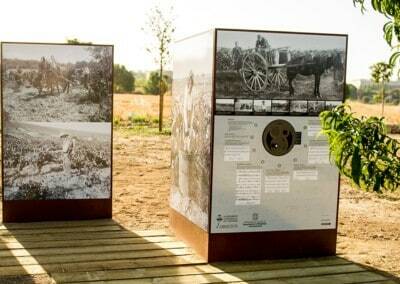 You can also view our range of standard kiosks on the interpretation shop.